Hello! 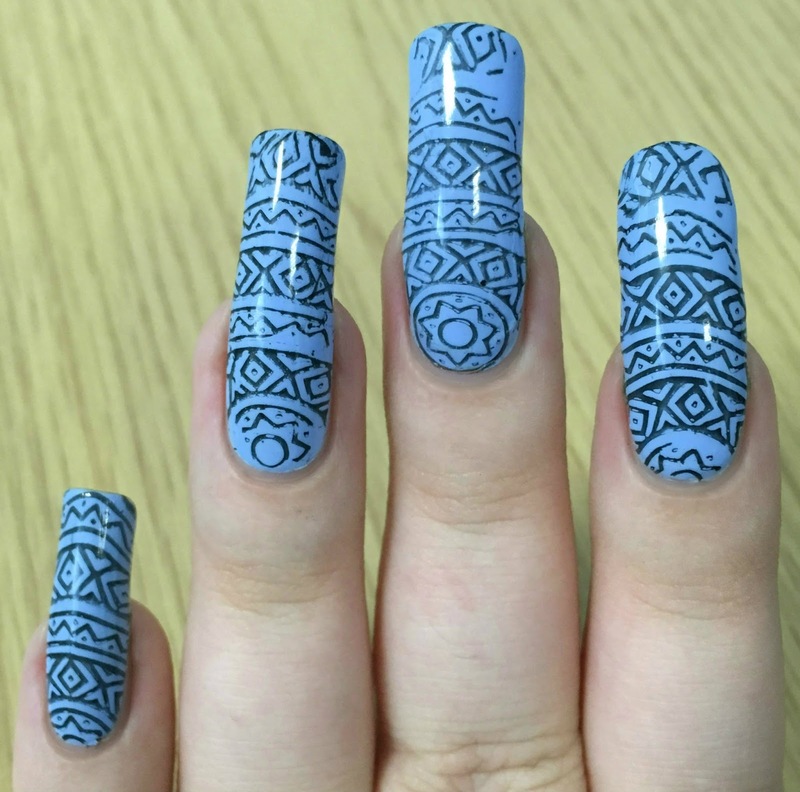 For this post I have a third Nicole Diary stamping plate and nail design to share with you. If you missed my other posts, you can see plate ND106 here, and ND110 here. Today I have plate ND013, which I used to create my tribal stamping mani below. As always, read on for more info and a closer look at the plate itself. Unlike the previous two plates, ND013 is circular. It consists of a single design across the whole plate. This looks quite tribal to me but depending on how you look at it (and which colours you used), I also think it could work as an Easter egg design or even a fairisle Christmas look. 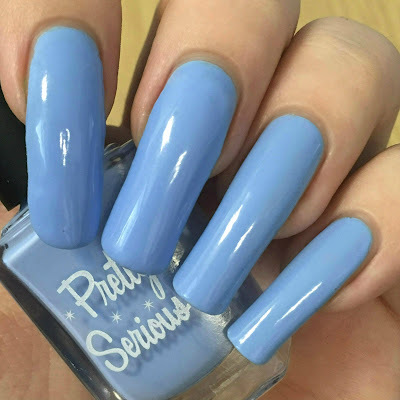 For my nail design, I started with a base of Pretty Serious 'Can't Take The Sky', a gorgeous soft blue/periwinkle (swatched here). Shown below is two coats and topcoat. 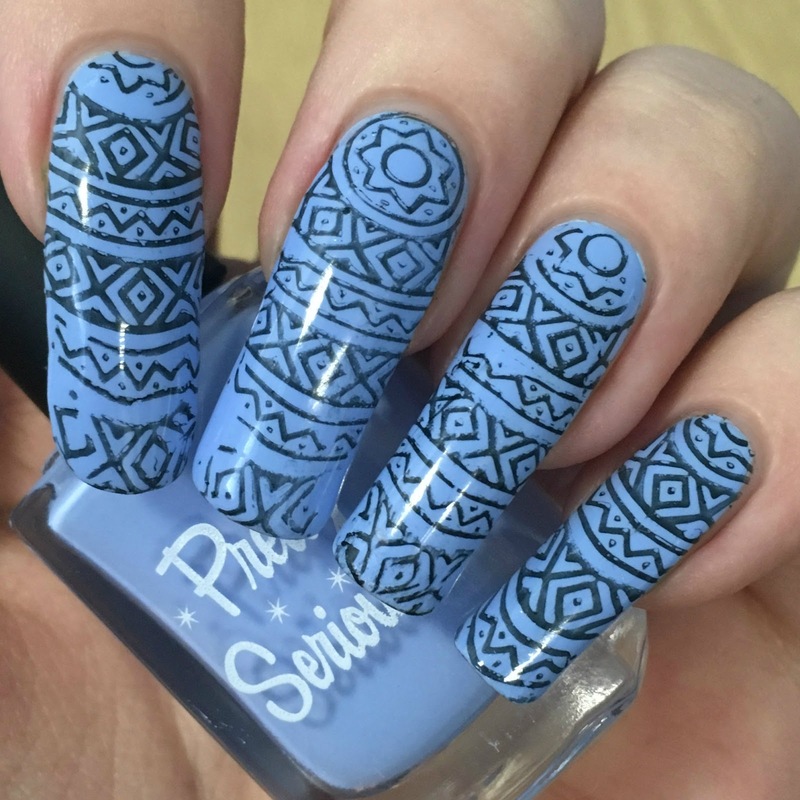 I stamped the pattern onto my nails using my MoYou London XL sticky marshmallow stamper and Pretty Serious 'Absence' (swatched here). As with the previous two I have reviewed, the plate was well etched and I had no issues picking up or transferring the pattern. I finished off by sealing everything in with topcoat. What do you think? I was loving this design, and I got so many compliments on it. My stamping isn't perfect, although I don't think it ever is! I'm still too stubborn to try my clear stampers but I will get there eventually! This was also my first time stamping with 'Absence', and I found it so easy. It stamped better than actual black stamping polishes I have, so I'd definitely recommend giving it a go! You can find Nicole Diary on Instagram here and Amazon here. A lot of their plates are currently on sale, so I'd definitely have a look before they go back to full price. 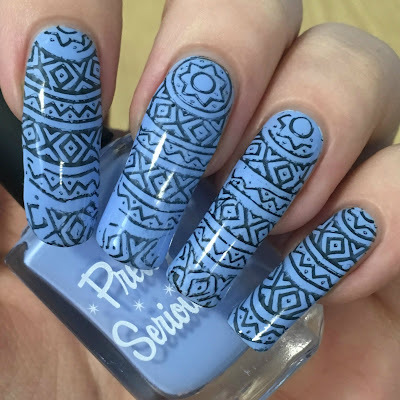 Love the base color and the stamping looks really cool-- great job! Lovely stamping plate. Blue black looks great together. Seems like a great plate for ladies with long nails! Great design!